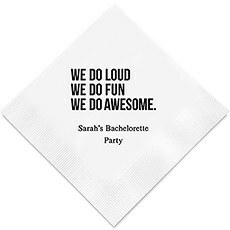 Our wide selection of paper napkins are a perfect detail to add to your engagement party decorations. 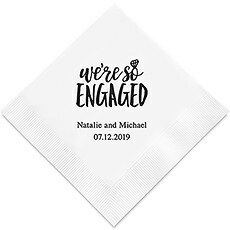 Are you planning your engagement party decor? 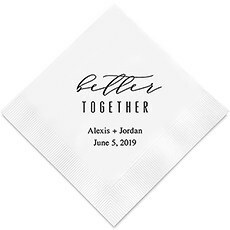 Don't forget the personalized napkins! 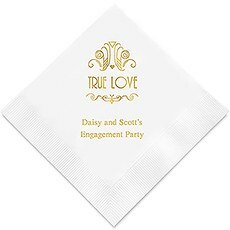 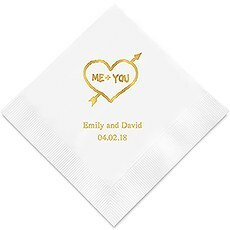 Especially if you're working with a limited budget, our custom engagement party napkins are a great way to bring your unique personality to your event and create a warm, inviting atmosphere. 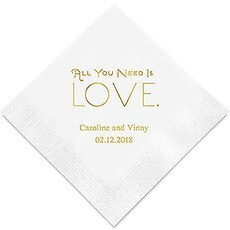 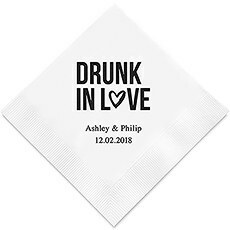 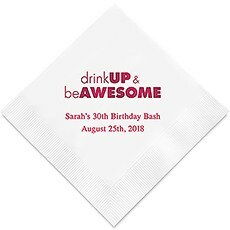 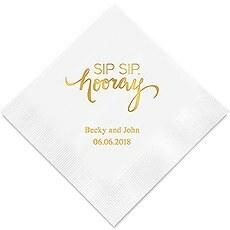 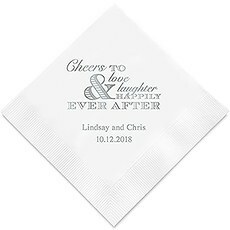 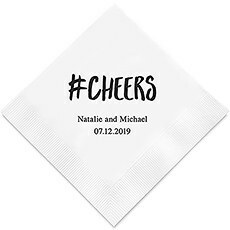 Celebrate your upcoming nuptials with family and friends with personalized engagement cocktail napkins, luncheon napkins or dinner napkins.There are various vibrant designs, from traditional to whimsical. 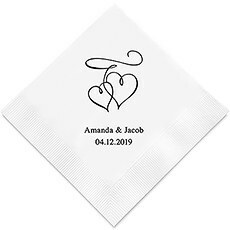 Choose from romantic joined hearts, a sentimental ‘me & you' heart, true love, sweet beginnings, a stylized ‘tying the knot' or a sweet couple's silhouette. 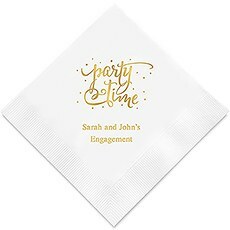 There are also less conventional choices for a touch of fun and whimsy. 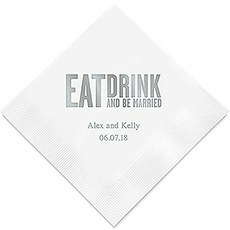 Some fun designs include bling bling, we're so engaged, sip sip hooray, let the sparks fly, drunk in love and eat drink marry.Each of our custom engagement napkins is available in cocktail, luncheon and dinner sizes. 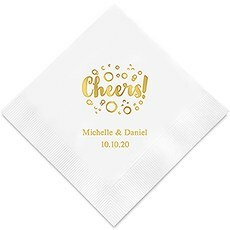 Select the napkin color and imprint foil color to coordinate with the rest of your event decor. 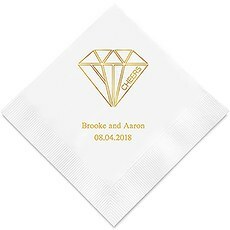 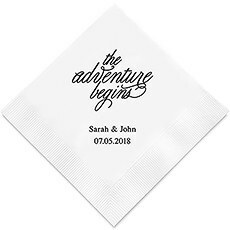 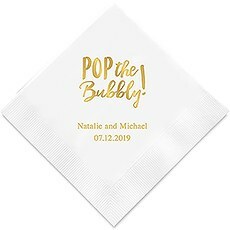 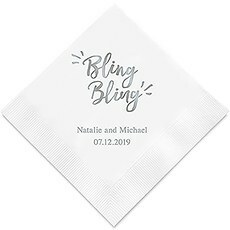 You can print up to two lines of text, allowing for the names of the couple and the date of the engagement.Our custom napkins are printed using a high-quality manual heat-stamping process to create a vibrant, professional design and lettering that leaps out for a stunning display. 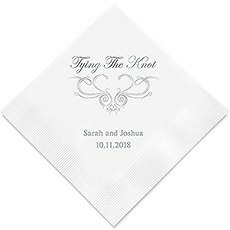 At The Knot Shop, we specialize in making your wedding and party decor dreams a reality, with the latest trends in stylish accessories.